Putting the Puzzle Pieces Together! Last month I had the pleasure of performing an intimate wedding in Manhattan Beach, with all guests barefoot in the sand! 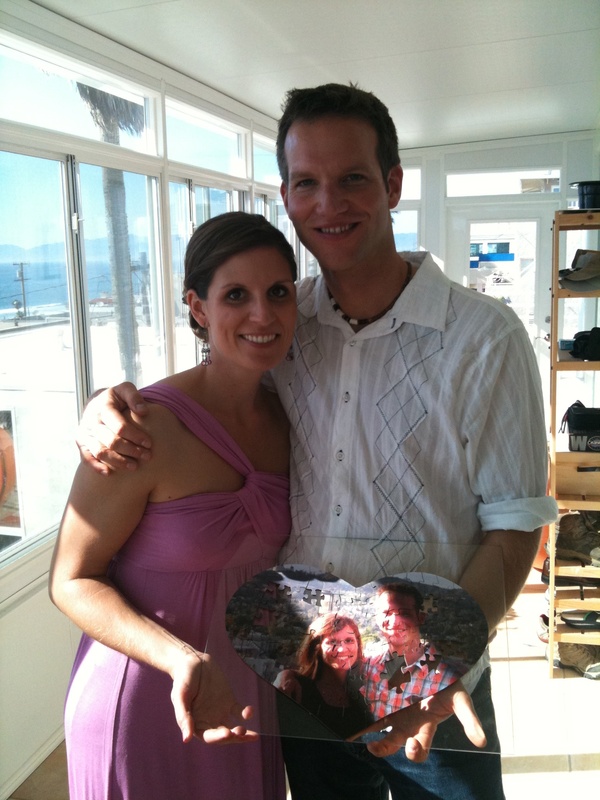 For the commemorative part of their ceremony, Martin and Brooke put together a puzzle made from a picture of themselves. Before the ceremony, Martin and Brooke began putting part of the puzzle together by gluing individual pieces over a piece of glass. During the ceremony, they had each of their mothers come up and add a piece to the puzzle. It was a nice way to include two very important people in their lives, and also a way of showing their two families becoming one through their marriage. Throughout the reception, guests were invited to add their own piece to complete the puzzle. Like this idea? 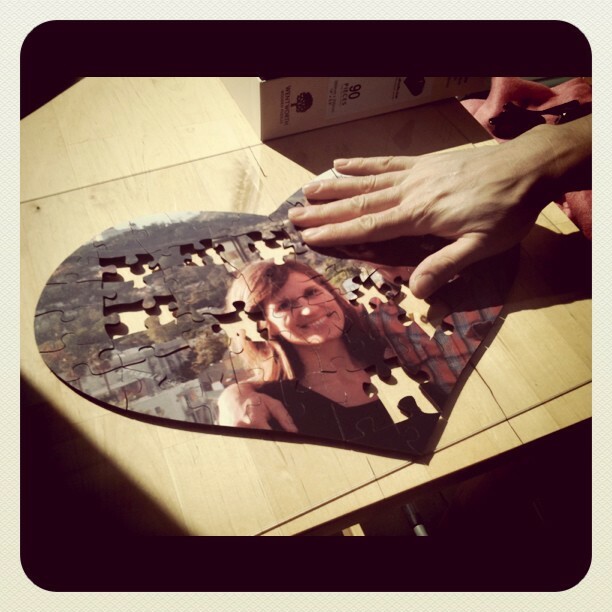 You can learn more about puzzle-pictures by checking out the website that Brooke and Martin used by clicking here. Another cool thing about their ceremony was that they were able to share it with Martin’s family and friends who were thousands of miles away, in Hamburg, Germany. One of their guests used his iPhone to take a video of the ceremony and reception, and through some form of magic (which I’m not sure of), their guests were able to log in to a website and watch the whole thing from their computers. Thanks to Martin & Brooke for letting the Merry Ministers be a part of their special day! This entry was posted in Alexandra, Ceremony by Alex. Bookmark the permalink.